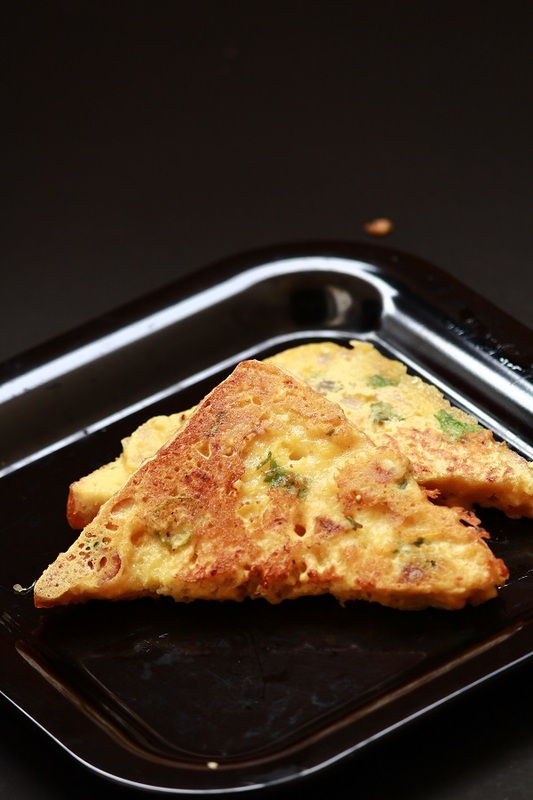 Besan toast is an easy to make snack or breakfast item. It can also be considered as a very healthy snack for kids and adults alike. Now a days, bread has become an important part in our day to day lives and there are numerous recipes which can be made with bread as a main ingredient. 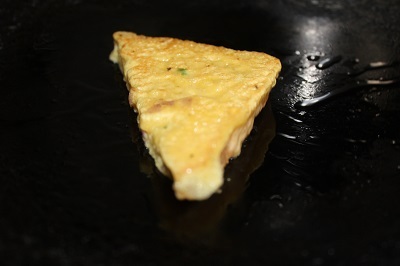 Starting from simple bread omelette to sandwiches, every dish is tasty in its own way. 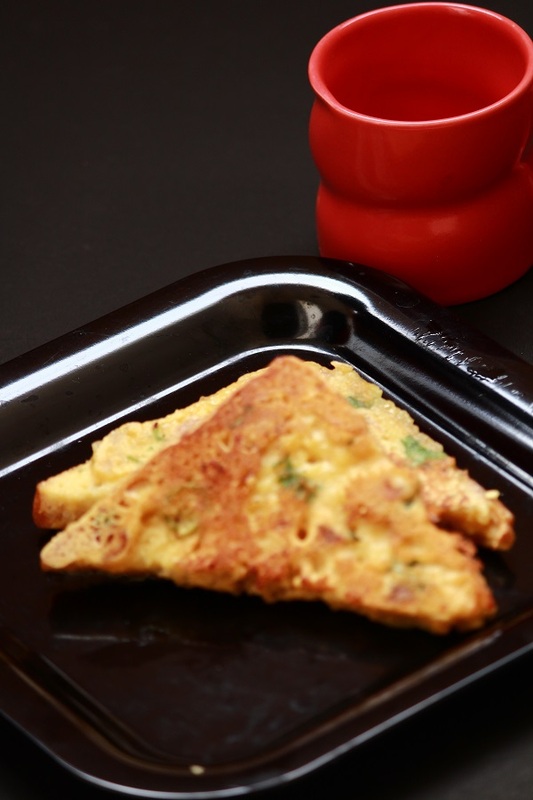 Besan toast is a very healthy alternative for vegetarians or for those who don’t like eggs. It is a very good option as a breakfast or as a snack. Idli /dosa always occupies an important place on my breakfast table but there are few lazy days (especially sundays), when I feel like taking a break from normal everyday cooking, and this toast comes to my rescue. Mix everything, dip the bread pieces and roast well. Done! 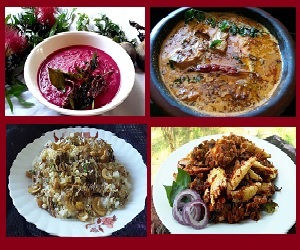 Serve with green chutney or sauce. 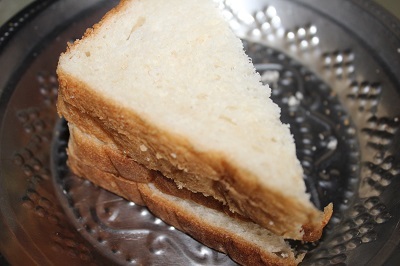 It is not necessary that you have to cut the bread pieces in triangular shape for making this toast. You can use the bread pieces as such into the batter. 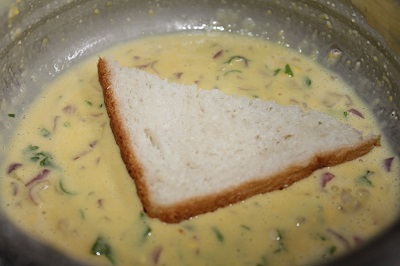 But while dipping the bread pieces into the batter, there is one important step you have to take care. Don’t put the bread pieces in the batter for too long, otherwise it will become soggy and will break. 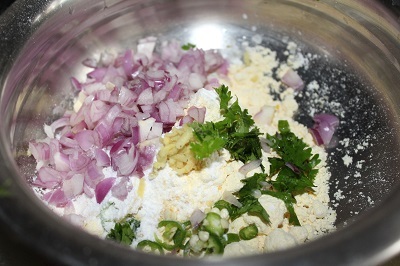 You can also omit green chilly if you are making for kids and replace with red chilli powder or pepper powder. Now to the recipe..
2. In a mixing bowl, combine all the above ingredients except bread slices. 3. Slowly add water and mix to get a thin consistency. 5. Dip each bread slice on both sides into the batter. 6. 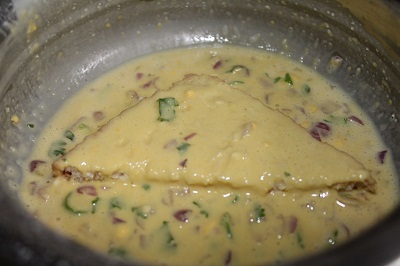 Add oil, grease tawa, and place the bread slices on the hot tawa / pan. 7. 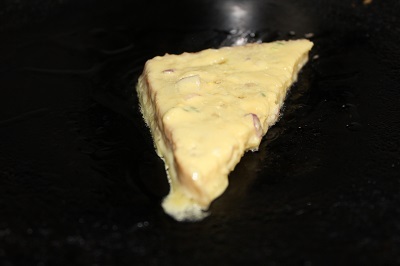 Add oil around the edges and roast it on both sides on low flame till golden color. 8. 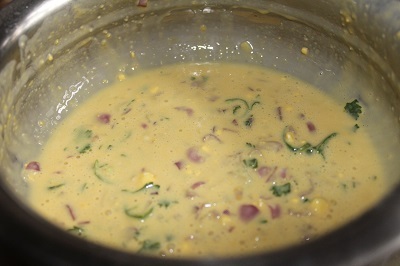 Remove from flame and serve hot with chutney or sauce.